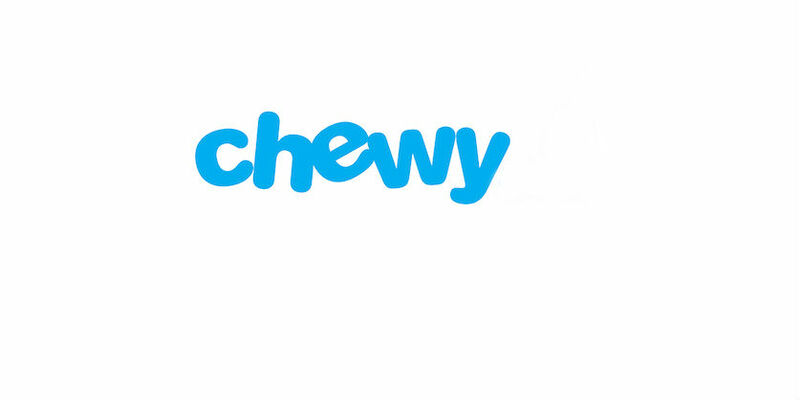 Chewy is one of our favorite merchants where you can find everything for your dog at amazing prices, every day. They are the most trusted and convenient online destination for dog parents. They strive to deliver the best products with the best service and the success is measured by the happiness of the people and dogs they serve. It’s finally Fall. Time for layering and bundling up, and that includes your head! Not only are hats a practical way to keep warm (they prevent heat from leaving your body through the top of your head), but they are one of the most effortless ways to add flair to your outfit. But, in case your chapeau-topped ensemble isn’t quite working, there are some tips that can take it from drab to fab in no time. Think Seasonal – First and foremost, Fall and Winter hats should be wool, cloth, or felt-type material. Save the straw hats for Spring and Summer, since the open weave of those materials can allow heat to escape your head. Find the Fit – Hats come in so many sizes and fits, it can literally make your head spin. Just because a hat looks cute, doesn’t mean that it will fit your head properly. Make sure when choosing a hat that you can actually try it on…that means if you’re buying online, you need to either A) make sure the sizes are listed and you know your hat size, or B) you are buying from a site you are familiar with, and you are familiar with their sizing. If it’s too big, it will do nothing but slide down into your eyes, or blow off in a gust of wind. If it’s too tight…well…it will just look plain silly. Consider Hair Length – Wearing a hat can change the whole look of your face, especially when taking into account your hair length. You will often find that close-fitting hats with less material compliment shorter hair, while larger, wide-brimmed hats look great on longer-length hair… but as with most things, you’ve got to experiment to see what works. Consider Hair Style – If your hair is long enough to style, you have more options than long-and-loose. You can opt for a messy low bun at the back or side, or a loose braid, also at the back or side. Again, get in there and experiment! Consider Your Outfit – Sometimes a hat can clash with what you’re wearing, so it’s important to take into consideration the style of your outfit. A loose beret or knit hat looks sharp with a body con shirt and skinny jeans or trousers. Boho styles are really complimented by floppy, wide-brimmed hats. And something sleek and tailored would be well suited to a close-fitting cloche style. Color – Since it is Fall, with Winter on the way, you might as well try to embrace and incorporate some of the colors of the season. Yes, black is a classic, as is grey, and they can usually go with anything, but be bold and look for berries, rust colored, and dusky-hued varieties. Give it Your Style – As with so many points above, it all comes down to experimentation. If you feel like adding a brooch or feather to a hat…do it. Make it yours. You will ultimately (hopefully) own whatever look you rock, so rock it with confidence! Yes, yes…you need coats to keep you toasty when the air turns chilly. But you can accomplish that by walking around with wrapped in a blanket too. If you’re gonna keep warm, you might as well do it with style, right? Right! Coats are not just mindless pieces of fabric that get you from point A to point B. Selecting a coat should be no different than selecting an outfit…it should always flatter your body type. These coats will keep you warm while making sure you look hot, flawlessly flattering both your shape and your style this winter! Hourglass – If you’re an hourglass, then you know how tricky it can be to dress that beautiful shape of yours for warmth… without making that shape look like a tent or a blob. So, for the perfect coat, think wide-belted, single-breasted, with a bell-shaped or A-line skirt. It will show both your curves and define your small waist, which will keep your body in beautiful proportion. Petite – Your small frame will only be swallowed up by a long coat with lots of bulky material, so look for something that ends just past your hips, and definitely no longer than mid-thigh. Also avoid big buckles and flashy buttons or embellishments. Coats with too much going on will only overwhelm your frame. Pear – Since you’ve got some awesome hips and curves, your best coat will be one with a dramatic, sizeable, v-neck collar and a cinched waist. This will not only balance up your bottom half, it will draw the eye upwards toward your cleavage and face. Boyish – The best way to add curves to a boyish shape is with a double-breasted, belted coat with either a peplum waist or a flared, bell-shaped bottom. This will help keep you looking slim while creating delicious curves in all the right places. Apple – An overall A-line shape with an asymmetric closure (either the line of the zipper or buttons) will skim your widest area, while hugging your most narrow…thus creating a very flattering shape for you. Also look to a geometric, asymmetrical pattern, such as a plaid. Long and lean – If your figure is ballerina-like (long and lean), you can pull off a longer, straight, structured coat. If it’s more on the boyish side and you’d like some curves, opt for a belted version that cinches in and creates/defines your waist. For an even more graceful and elegant line, try a funnel-neck collar. Positively swanlike! The first false lashes actually hit the silver screen in 1916, when legendary movie director, D.W. Griffith, gave a wig maker the directive to create lashes so long they would touch a starlet’s cheeks when she fluttered them or looked down. Human hair was carefully weaved through gauze and then stuck to the lid with a type of cosmetics gum. We’ve certainly come a long way since then! Falsies are more popular than ever, put to daily use in the routines of many makeup mavens. But, thanks to the huge number of lash brands, styles, and types on the market, finding the best lashes can be challenging, even for the most practiced among us. If you manage to get your selection right, not only will the lashes look fabulous, but they should hold up through multiple wears (with the proper care). So, just to make your work easier, we’ve taken a closer look at some of the most popular brands in every price range. Ardell – Ardell false eyelashes are readily available online and in most drugstores. The company began in 1971 and has grown to one of… if not the… biggest false eyelash brand in the world. Types of lashes: Natural, Glamour, Accent, Individuals (some semi-permanent styles), and Rhinestone (more exotic and daring styles, colors, accented with small rhinestones ). Lash glue or special directions? Some lashes may have a small vial of false eyelash glue Online they offer both clear (Lashgrip Strip Adhesive) and black glue (Lashtite Adhesive). While Ardell does offer Lashfree Remover, no special eyelash glue remover is necessary. Overall selection: Huge. Literally. You could wear a different lash almost every day of the year. Overall reviews: By far, some of the best false eyelashes you can find in a low price-point. Reviews were overwhelmingly positive everywhere we looked online. Some consumers complained that when buying the lashes online, the product they received did not match the picture. Other complaints dealt with application… but in our opinion, that’s really operator error, not a problem with the lashes themselves. Eylure – Eylure lashes, also, are readily available both online and in your local drugstore. Founded by David and Eric Aylott, Eylure has been a trailblazer in false lashes since the 1940s. In the beginning, their products were mainly used on stage and screen, by the 1960s, the Eylure lashes hit the mainstream. Types of lashes: Natural, Lengthening, Texture, Volume, Definition, Exaggerate, Dramatic, Party, and Brown lashes. Real or synthetic? After a long, frustrating search online, we’ve decided that unless the product specifies “100% human hair,” that they are most likely a good quality synthetic. Lash glue or special directions? Some packages my include a small vial of eyelash glue, but they also have eyelash adhesive made especially for their strip lashes (Lashfix), clear and black eyelash glue (Superfix)… but any eyelash glue should work. Eylure also offers “Lift Off” eyelash remover, though any oil-free makeup remover should work as well. Overall selection: Aside from a massive range of styles, colors, textures, and effects, Eylure offers some “celebrity” styles, from such notables as Katy Perry and British favorites Cheryl Cole, Kimberley Walsh, and Nicola Roberts. Overall reviews: The majority of reviews we found online were very positive, however, there were some consumers who found mistakes with packaging (two visibly different lashes in the same package), and some had trouble maneuvering the thicker more voluminous lash varieties (complaints that the lashes were too stiff and would not bend). Revlon –While Revlon the company began in 1930, marketing their unique nail polish and lipstick, the Revlon false eyelashes are a more recent addition to both the brand and to the contenders of the best false eyelashes battle. Types of lashes: Revlon Runway, Revlon Fantasy Lengths, Revlon Beyond Natural, Individual, and Volumizing. Real or synthetic? All of the lashes appear to be synthetic-only. Lash glue or special directions? Most packages come with a small vial of their Precision Lash Adhesive, some are glue-on, and some are “self-adhesive” (the adhesive strips already in place on the band of the lashes is water-resistant and latex-free). You can also buy the Precision Lash Adhesive separately. Overall selection: Not a lot to choose from here. Since they can be found in some drugstores, they might work in a pinch if you couldn’t find Ardell or Eylure. We are hopeful that they will offer more selection as time goes on and/or demand rises. Overall reviews: Again, since they are relatively new to the false eyelash market, there aren’t that many reviews to compare… but the ones we did find were very positive. Dolly Wink – Launched by Japanese one-time teen model/pop star Tsubasa Masuwaka, Dolly Wink eyelashes were once only known to false lash insiders and fashion-conscious women of Europe and Asia. Thanks to the internet, though, Dolly Wink has gone world-wide, becoming a cult favorite as one of the best false eyelashes available. Types of lashes: With names like “Dolly Sweet,” “Sweet Girly,” “Natural Girly,” and “Sweet Cat,” Dolly Wink doesn’t really have types of lashes as much as they have different styles of one main type. There are approximately 20 different lashes, all either full strips or demi lashes, and all very natural looking, delicately spaced, layered, and of graduated lengths. They are strategically longer both horizontally and vertically, creating the appearance of longer, larger, doll-like eyes. Dolly Wink also sells natural-looking bottom lashes. Real or synthetic? While there are eyelash extensions branded as “Dolly Wink” available to salons, the eyelashes you can buy online (Amazon, Ebay, etc.) are made from synthetic hair. Lash glue or special directions? Thankfully, no special protocol here. Apply with regular eyelash glue, and remove either with lash remover or oil-free makeup remover. Overall selection: While what they do have is lovely, the overall selection is not broad in terms of either styles or types of lashes available. Overall reviews: We honestly could not find a blatantly negative review of the Dolly Wink products. Any slightly-lower-than-top-star ratings were mainly from consumers not practiced in false eyelash application. And the winner is… For a wallet-friendly, readily-available, good-quality variety, our bet is with Ardell. We like that they use real hair in the majority of the lashes, and the price-point says that experimentation with different looks is definitely doable. Huge selection and availability also! They truly are the best false eyelashes for the buck!